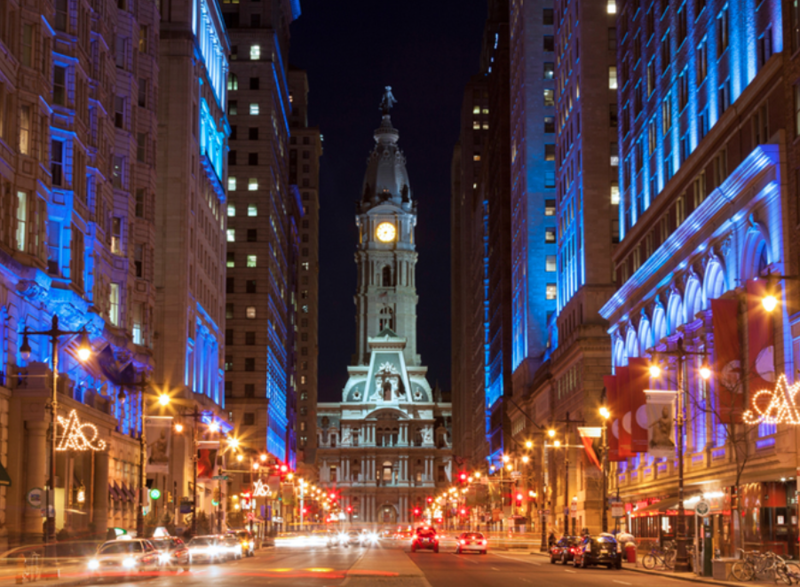 Whether you’re a marathon maven or 5K fanatic, Philadelphia’s booming running scene makes now the time to lace up and get moving. 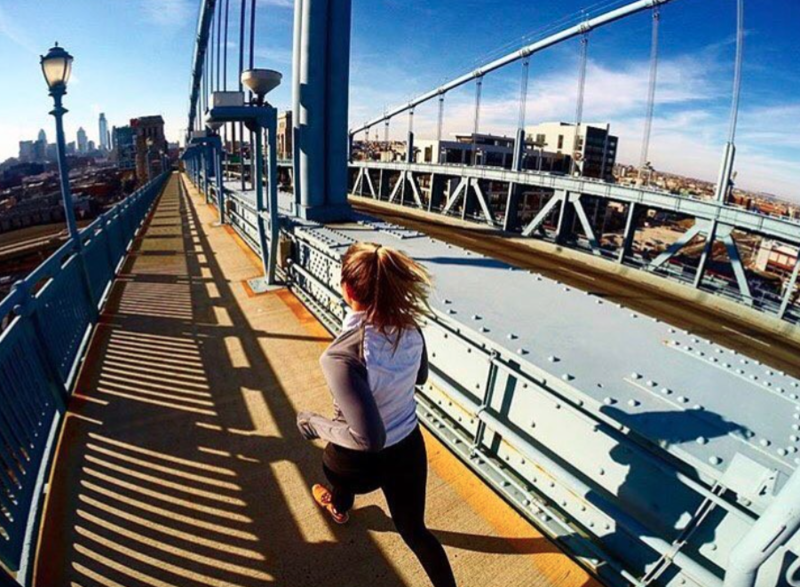 One of the best ways to get involved (while improving your pace and PR) is joining Philly’s free running clubs. 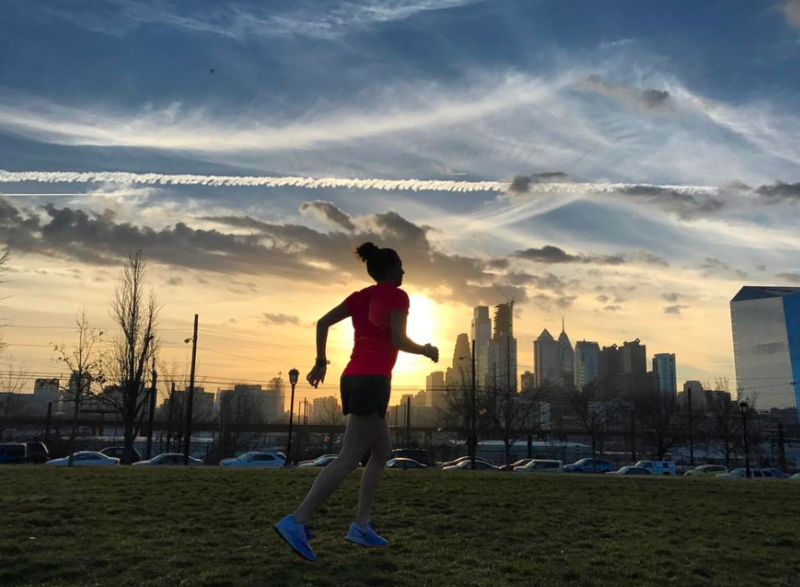 Runners of every pace are welcome, and whether you choose roads or trails, and run long or short, there’s a group in the City of Brotherly Love for you. Come for the beer, stay for the community. This club’s meteoric rise has spawned offshoots across the nation, a documentary called Beer Runners, and a massive community of beer-loving runners throughout the city. Runners gather weekly outside founder David April’s Fishtown home every Thursday for a 3–5-mile run to a local tavern. After reading a study from a Spanish professor who found that moderate beer consumption is just as beneficial as water for rehydration and post-exercise recovery, April started FBR to put these findings to the test. Each week the group celebrates this study by toasting, “To the Professor!” with a cold local brew in hand. Membership is free, but bring cash to pay for your beer… nobody likes a moocher. Give runners free custard after pounding the pavement on a hot night, and you can convince them to wear almost anything. See this in action at Shake Shack’s monthly running club where purchasing and wearing a Shack Track & Field shirt for just $10 nets you a free cup of custard at EVERY. SINGLE. RUN. First drink is free, even without a shirt, but doublefisting is more fun. Club meets at Philadelphia Runner in Center City one Tuesday a month, and runs are 3–5 miles before ending at University City Shake Shack. Find out when they’re eating free custard… errr running… next on Facebook. Free beer, race entry discounts, prizes. You never know what you’ll get at this weekly club. 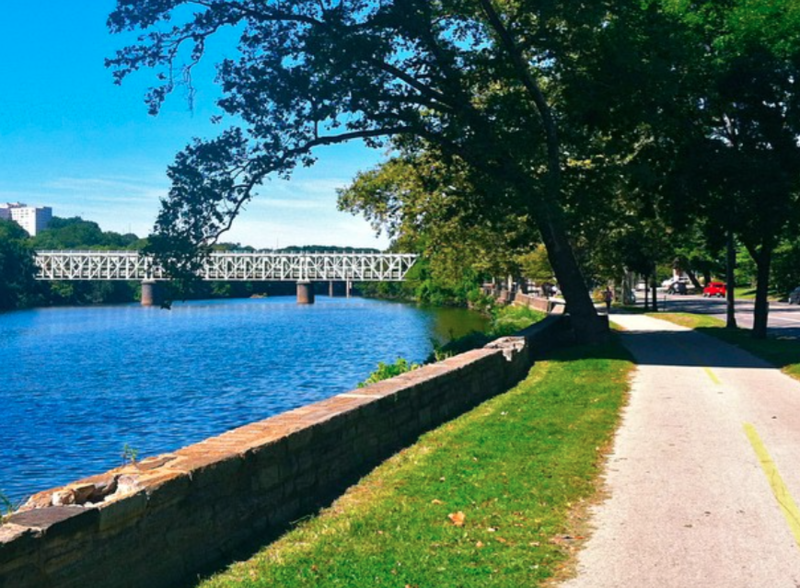 Run 3–5 miles through Center City and along one of the nation’s best urban running trails—the Schuylkill River Trail—every Thursday night at Philadelphia Runner’s Center City store. 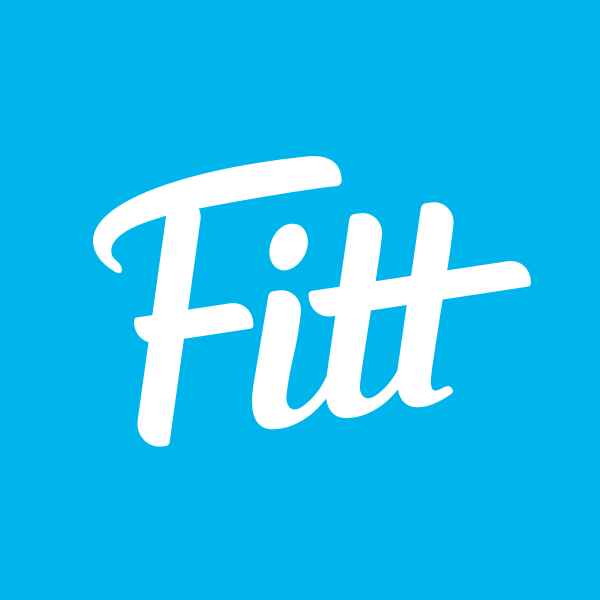 Group runs also offered at their Manayunk, Glen Mills, and University City locations. Shrouded in mystery, this late-night pop-up run for night owls is sponsored by Run 215 and follows no set schedule. Event dates and locations are announced 24 hours in advance, and you can only get the deets by following RUN 215 on social media. So far, Night Shift has run subterranean sprints in underground SEPTA stations, seen views of Philly’s best holiday lights, and enjoyed music blasting from a glowing jogging stroller. Trust us — you don’t want to miss wherever they run next. 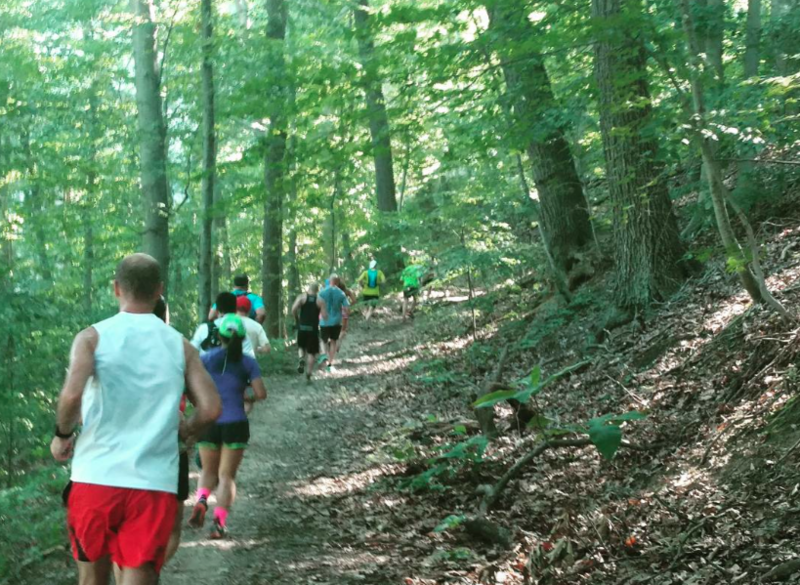 Skip the crowds of Kelly Drive and run the trails of Wissahickon with this Sunday morning group. Explore the Wissahickon’s vast trail network, and meet fellow trail-loving runners so you won’t have to wander the woods alone. Chasing Trail meets at Valley Green Inn every Sunday for a 4–6-mile run on unpaved trails. You don’t need to be an expert trail runner to join, and it’s probably best if you’re not. They focus more on fun than speed, but every level of runner is welcome. Their active Facebook group is the place to find out about these free trail runs, and other random trail events during the week. Ladies night isn’t just for dance clubs. 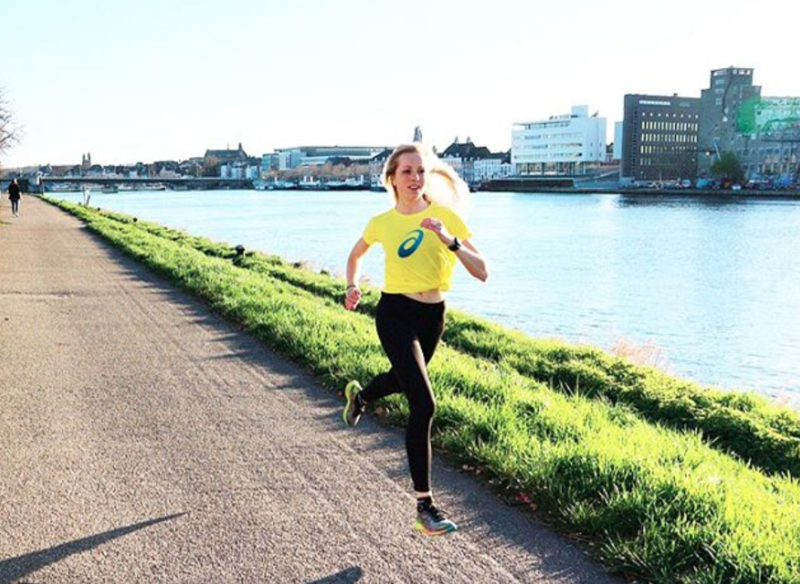 Rally your girls for this social running group. 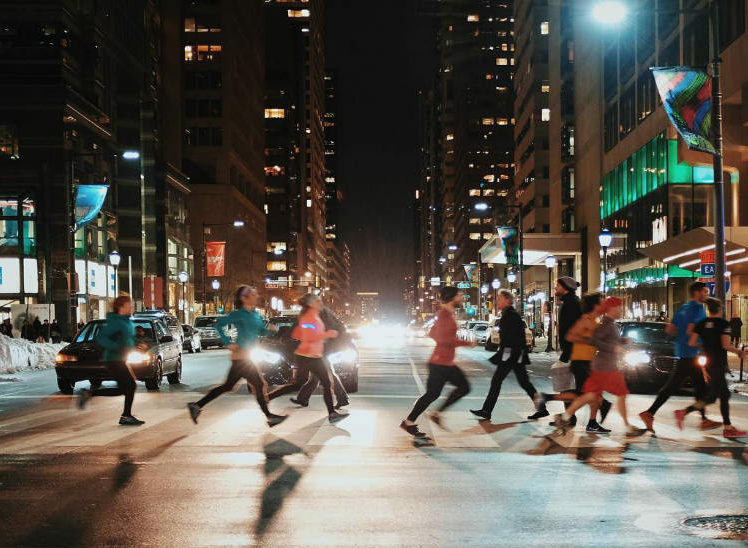 Just show up at Dilworth Park every Wednesday evening for a 3–5-mile, all-paces run through the city. 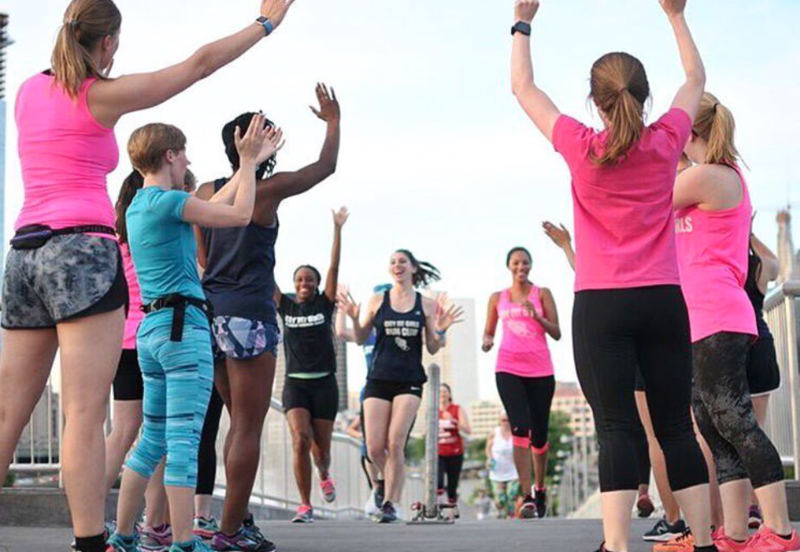 Whether you’re training to run Broad Street or your first 5K, City Fit Girls also offers free 12-week training programs delivered to your inbox every week that pair with these group runs. One of Philadelphia’s oldest and longest-running clubs (still running strong! 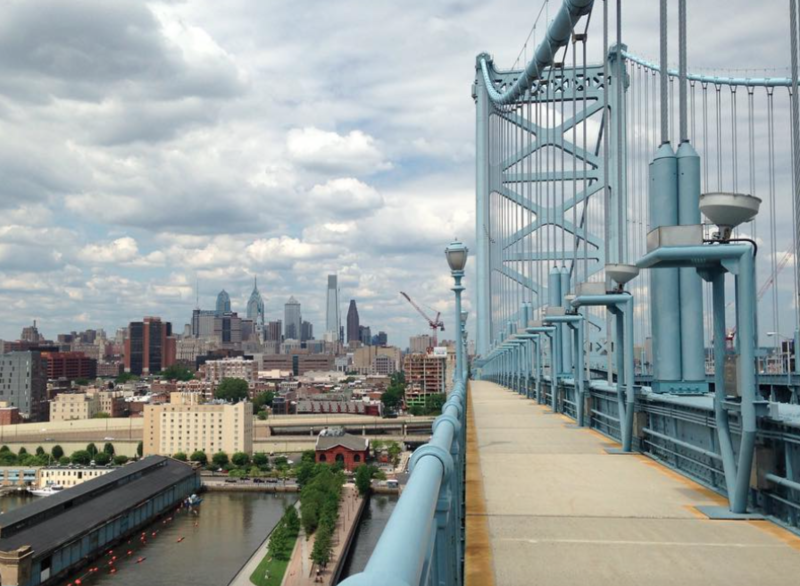 ), Philly Runners prides itself in never canceling group runs. Every run starts and ends at the bottom of the Rocky Steps in front of the Philadelphia Museum of Art on Tuesday and Thursday nights and Saturday mornings. Kelly Drive can be sorta sketchy after dark, so they always split into pace groups assuring no one has to run alone. Thursday evenings focus on speedwork and hills, while Tuesdays are more casual out-and-back runs along scenic Kelly Drive. Sunday runday! Start your morning with a sweat-fest beginning at New Balance’s Center City store at 10 a.m. on Sundays. Oh, and of course that’s followed by free snacks and drinks at the store. Runs are casual and typically 3–5 miles. Binge on brunch after guilt free – you burned enough to earn it. It doesn’t get more Philly than this club! 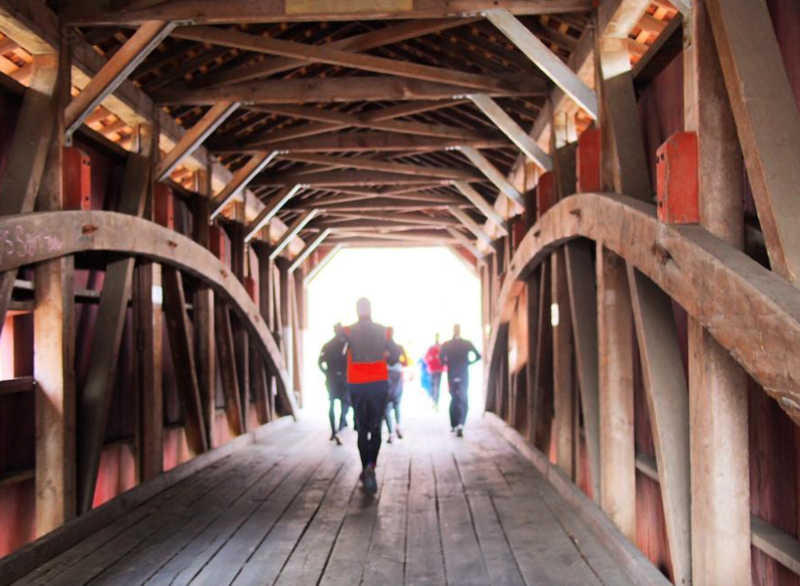 Run 2–5 miles to a local historic site, public space, or other landmark. Then comes the business; Take a quick tour before heading to a local watering hole to network with other Philadelphians looking to be involved in the city. Runs are usually the first Tuesday of each month at Philadelphia Runner in Center City at 6:30 p.m. Early birds get the shaft on running clubs in this town, but thanks to South Philly Striders, they finally have a club to call their own. 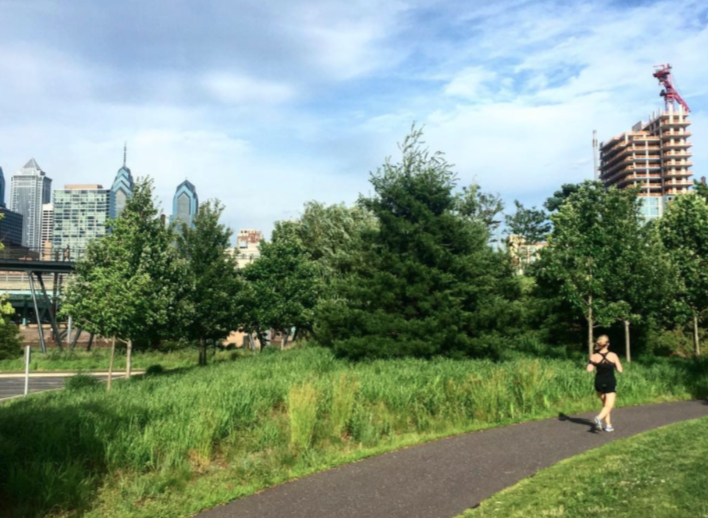 Serving South Philadelphia, Penn’s Landing, Old City, and Queen Village neighborhoods, the Striders meet Tuesday and Thursday at 6:15 a.m. and Saturday at 8:00 a.m. at Front and South Streets. Northern Liberties’ newest brewery just got a whole lot sweatier. 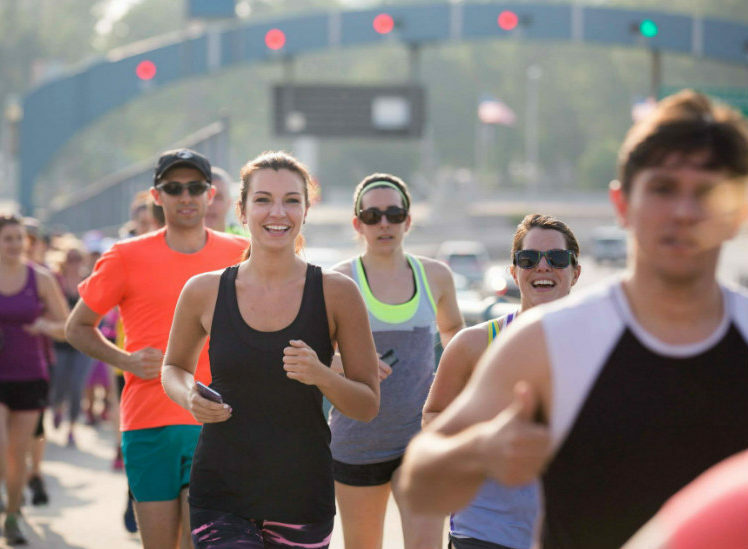 Urban Village Brewing Company hosts a monthly run club inviting runners of any pace and ability to join them for a three-to-five mile loop through the neighborhood. Best part? Make it back to the brewery and you’ll be rewarded for your hustle with some hops — first beer after your run is compliments of Urban Village! Come hail or high water, this crew always meets on Wednesdays at 6:30 p.m. at 45th and Locust. Choose your own distance: 2, 4, and 6-mile routes each week. All three distances start together and end at the same place. Don’t worry about being left in the dust, though. Runners typically keep a fast-ish clip (10-minute miles or faster), but all paces are welcome. African American men can run four times a week with this supportive group focused on goal setting and fitness. Seasoned sprinters and total newbs are welcome. Saturday and Sunday mornings at 7:30 a.m. and Monday and Wednesday nights at 7 p.m. All runs in Philadelphia, but locations vary so visit the website for most up-to-date information. Philly is packed with groups followed by booze, but a run club with discounted healthy salads and noodles? Now we’re talking. 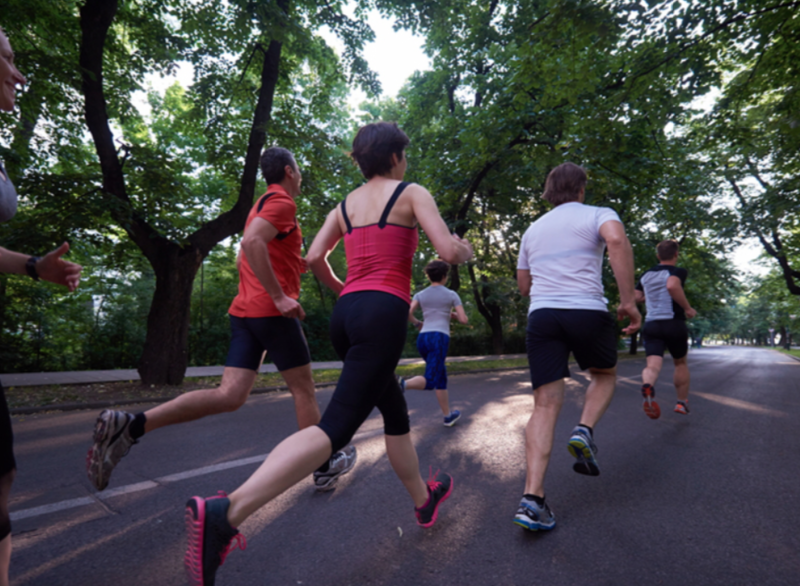 The Honeygrow Run Club meets at Philadelphia Runner in Center City the last Tuesday of every month at 6:30 p.m. for a 3–5-mile out-and-back run. Head next door after to local foodie favorite Honeygrow and get 25% off a tasty, fresh dinner. Serious training in a social atmosphere. That’s the thought of this club that meets in Philadelphia’s happening Manayunk neighborhood on Tuesday and Thursday evenings. Here, you’ll run 4–7 miles (just turn back early to reduce distance.) No judgment if you turn back early…that just means you’ll be first in line at the bar! 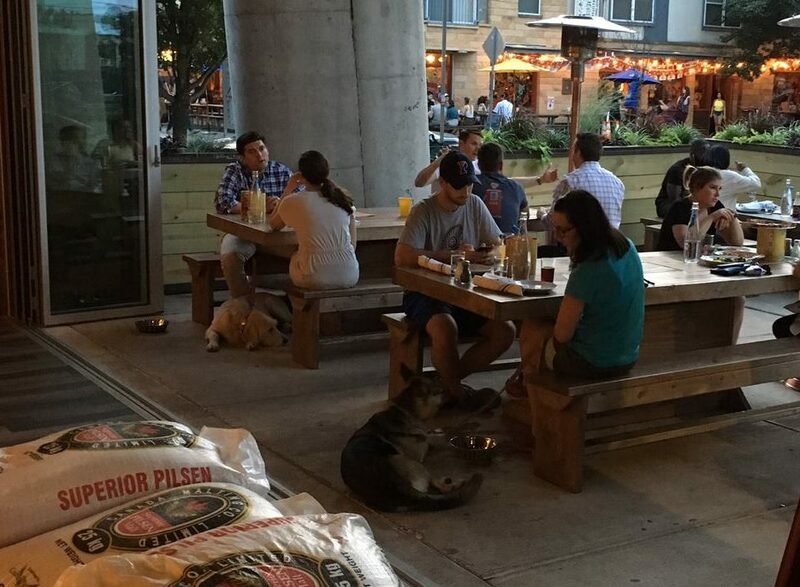 In true Philadelphia fashion, this group enjoys getting their drink on and follows up their runs at a local tavern. If you’re passing by Passyunk (see what we did there?) join this community club for runs at 8–10-minute per mile pace beginning at the Passyunk Fountain. Tuesday evening 3–5 milers start at 7 p.m. and end at local bars; Thursday morning 4–7 milers begin at 6:30 a.m. and finish at East Passyunk coffee shops. 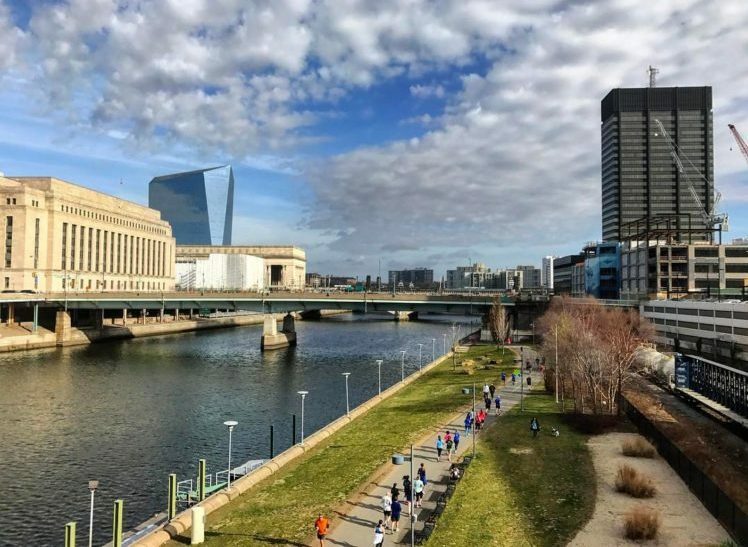 On the third Monday of every month, head to the southeast corner of Franklin Square (6th and Race) for a run across the Benjamin Franklin Bridge all the way to Jersey and back to finish at Yards Brewery. Individuals and running groups welcome. The 4.25-mile course has some serious elevation on the bridge portion, so you’ll really deserve your post-run brew. Turn back at the halfway point if just the idea of running two steep uphills is making you breathe heavily. Stick around after for happy hour with $3 beer and special surprises at this seasonal club, which runs from April until early fall each year.